FFC develops forest management plans designed to optimize the productivity of forestland in conjunction with a landowners objectives. The management plan is the first step in responsible forest stewardship. The plan serves as an owner’s manual for a property and includes a work schedule to increase the quality and health of the forest. 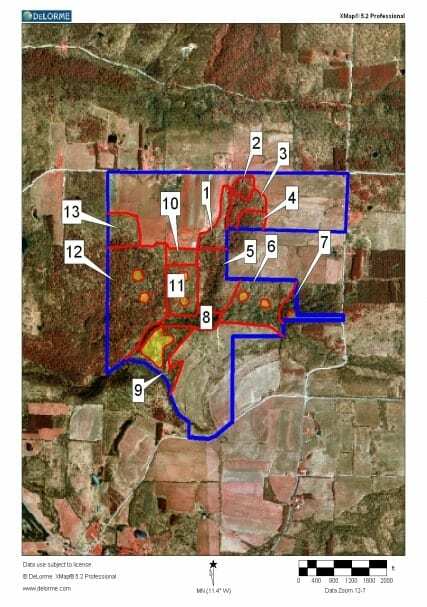 The plans include; objectives, existing access and recommendations, boundary lines, forest health, wildlife habitat, fisheries habitat, recreation, unique flora and fauna, and recommendations regarding forestry and wildlife for each individual stand or area. A thinning schedule is included for both commercial and non-commercial work. If followed, the schedule will provide increased quality harvests at more frequent harvest intervals. 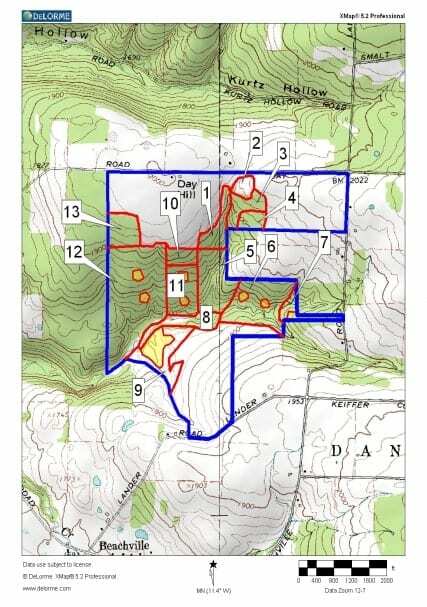 Plans include aerial photos, tax maps, topographic maps and forest type maps with stand listings. A computer simulation of hardwood stands with species list is included in the Appendices. FFC uses tas tool in making forest management decisions. The landowner receives stand summaries including board feet and value per acre within reasonable statistical tolerances. Management plans qualify landowners to receive EQIP, Tree Farm status, and 480 Real Tax Law abatements in some cases. Plans should be updated approximately every 5 years depending on the intensity of management and natural disturbance history. The management plan serves as an excellent venue to get excited about forest management. The plan can also facilitate the exchange of land from generation to generation by outlining the objectives and stewardship goals important to the landowner. HOW WOULD YOU LIKE TO SAVE 80% ON YOUR SCHOOL AND PROPERTY TAXES! If you are looking at your property tax bill again this year wondering if owning land really pays, we thought you might like to know of a forest tax law, which is designed to encourage long-term ownership of woodlands for the production of forest crops. The 480-a Real Property Tax Law is designed to give landowners compensation for managing their parcel in a sustainable manner for timber, wildlife, aesthetics, and recreation. The Forest Tax Law can significantly reduce your annual assessment to 20% of the current value. When the timber is sold, a 6% sales tax is paid for the wood harvested. Here is an example of how it works. An owner has an 80-acre wooded property with a cabin with annual school and property taxes of $3,500 per year. The owner hires us to prepare a forest management plan for the property. The law requires a plan to be developed which will cost $1,400 to prepare. The landowner is eligible to apply for federal cost sharing which can assist in completing forestry work also. Once the plan is prepared, a 15-year work schedule is drawn up. The owner finds they are required to do 30 acres of non-commercial thinning for the length of the plan. This non-commercial thinning consists of removing some of the less desirable trees and reducing the density to optimize growth rates. This work will pay dividends in the future by increasing the value of future harvests. For this work, the landowner may receive funds through cost sharing programs. We are available to complete this work if the landowner desires. The landowners can perform this work themselves and use the products for firewood etc. The owner hires us to handle the application and filing paperwork for an additional $200. Once the application is approved and filed, the landowner receives a 80% abatement on their school and property taxes for qualified acreage, resulting in an annual savings of approximately $2000 per year. Every five years an update to the plan is required which usually takes at least one day to complete. Also, 10 acres of non commercial thinning or culling is required on the acreage that is overstocked. The amount of acreage varies from property to property and sometimes can be done in part commercially prior to enrolling the property. An onsite consultation is necessary to determine the extent of thinning activity. FFC offers a service of marking the trees for the landowner to cut or we provide a service with our professionally trained forest technicians to cut the trees. Anyone owning 50 acres of forestland or fields reverting to forestland will qualify for tax reduction on the qualified acreage. Of course, everyone’s situation is different. Careful thought should be given before entering the program. There are penalties for changing a part of the land use. We would be happy to discuss your property with you in determining your potential tax reduction. We can also give you the approximate costs of any of the investments needed in the forest, which may be required in the plan. You will then be in a position to make an appropriate decision with respect to participation in this program. Please feel free to call us anytime in regards to this program or any of our other forestry services. We are here to serve you. The 480a Plan is a tax savings plan for forestland owners that are managed by the DEC. The tax savings is on school taxes as well as property tax. Savings in most cases is 80% on both taxes, but can be less depending on the town equalization rate. There are several requirements a parcel must meet before it can be placed in the 480a plan. These requirements may cost money to implement if you the landowner cannot do them on your own. The net tax savings after paying for these services required, complying with the plan, will depend on the structure, composition, and density of your woodlot. This plan is not for every landowner, but for some it can be great. Goal of 480a: Some type of compensation given to forestland owners who manage their parcel in a sustainable manner for timber, wildlife, aesthetics, and recreation.